Paul Purcell - For the Industry. By the Industry. Mr. Purcell serves as a senior research analyst. His research focuses on specialty consumer finance (non-bank operated), financial and payment processing, consulting and information technology companies. His primary responsibility is to develop and maintain deep domain expertise in all non-bank financial services platforms in IT, payment and specialty consumer finance verticals. Mr. Purcell currently serves on the Board of SCVNGR/LevelUp (www.thelevelup.com), a leading provider of mobile payments solutions, and is part of the managing committee of Veritec (www.veritecs.com), a provider of regulatory enforcement solutions for the financial services industry. 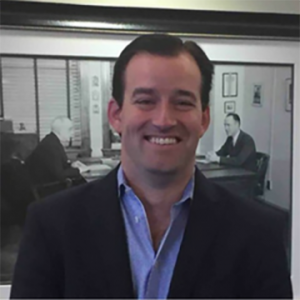 Prior to joining Continental Advisors, Mr. Purcell was Manager of Internet Marketing at the Chicago Board Options Exchange (CBOE), a department he helped found. He also held analyst positions in the Trading Operations and Investor Services Divisions at the CBOE. Mr. Purcell received his B.A. in Political Science from the University of San Diego. He is a member of the Emerging Leaders Council at the University of San Diego. He founded and co-directed the Drive for Breakthroughs, a charity golf outing, which in its 6 years of existence, raised nearly $2 million for the benefit of the Myelin Repair Foundation (www.myelinrepair.org). Mr. Purcell is active in many areas of medical research, namely Multiple Sclerosis and Child Food Allergy.